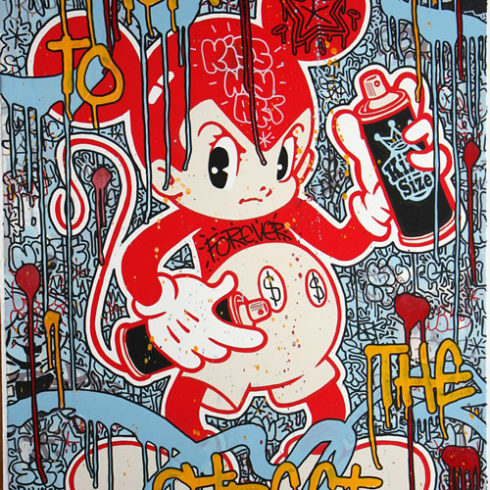 Speedy Graphito, was born in Paris in 1961, and he is one of the pioneers of the French Street art movement. By imposing a powerful, innovative style in the early 1980s, Speedy left his mark on the memory of a generation. Our Fine Art Gallery has the finest quality Speedy Graphito original prints, screen prints, paintings, canvas, drawings, HPM, and Editions. We have a large inventory available off-site and we encourage you to make an appointment to see specific works you are looking to collect. We are happy to meet you at either our art gallery showroom or at your home or office for a private presentation. 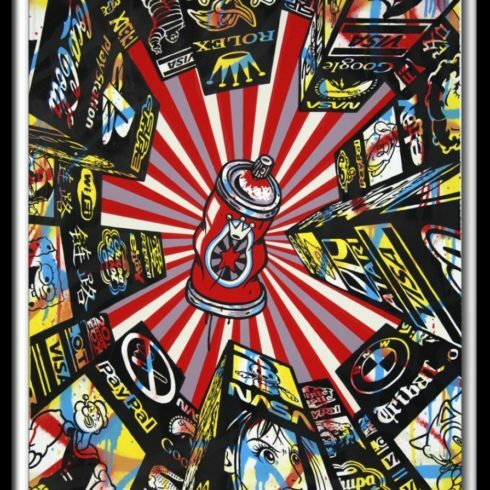 Street Art pioneer Speedy Graphito (Olivier Rizzo) was born in Paris in 1961. 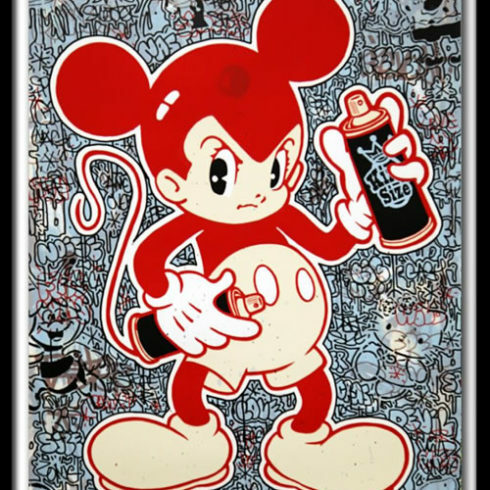 Speedy Graphito began his art career in the 1980’s, on the streets of Paris alongside other French Street Grafitti Artists like: Jerome Mesnager, Miss Tic and Blek le Rat. 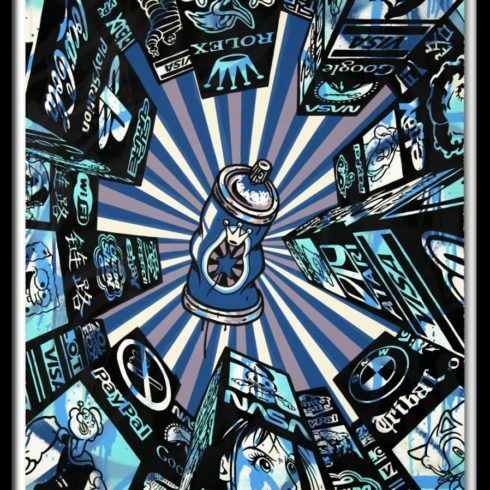 Originally a graphic designer and art director, Speedy Graphito transitioned into creating Street Art (also known as Graffiti Art), and in 1983 Speedy Graphito joined the art collective X-Moulinex, of which he was a member for only one year. By 1989 Speedy Graphito had participated in a number of group art exhibitions mostly in Paris, and by the late 1990’s Speedy Graphito’s unique street art style was exhibited in art galleries across Europe. 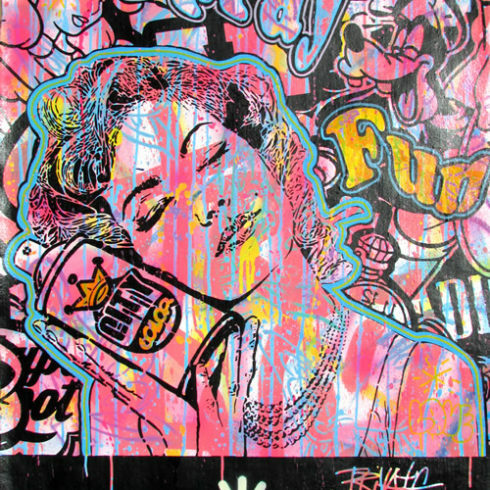 Establishing a distinct urban art style, Speedy Graphito’s clever use of stencil and spray paint in his street murals and canvases, has influenced generations of Street Artists around the globe. 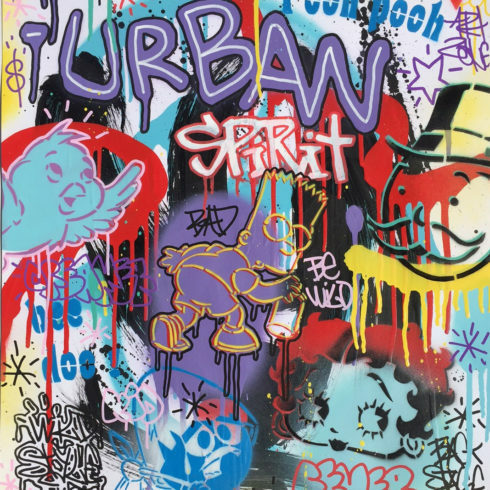 Speedy Graphito’s Graffiti art incorporates schematic and dynamic characters, approaching those of the Catalan designer Javier Mariscal or American Pop Art icon Keith Haring. 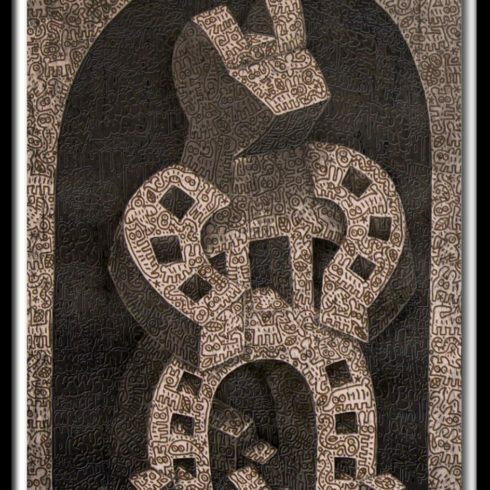 Other influences include America of the Fifties, cartoons and Manga and images in Maya culture. 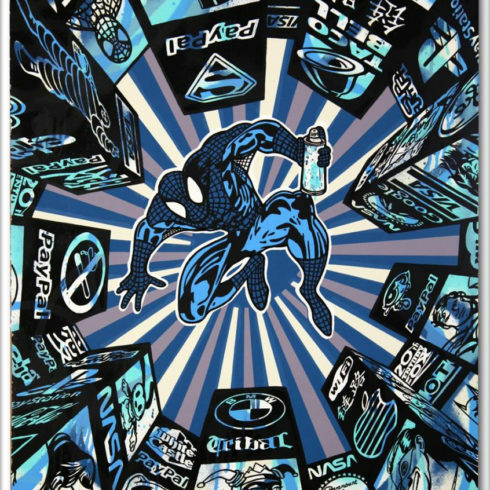 Though Speedy Graphito’s art has evolved considerably over the past few decades, Speedy Graphito has become known and revered for his exploration of commercialism and references to pop culture images and icons. 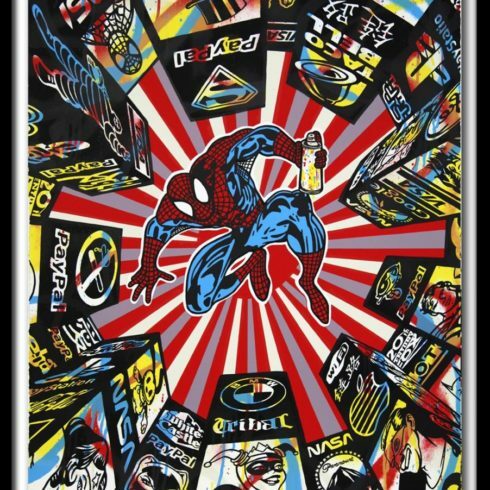 Speedy Graphito’s art is inspired by the world around us and predominantly the barrage of advertising logos that are part of today’s consumer culture. 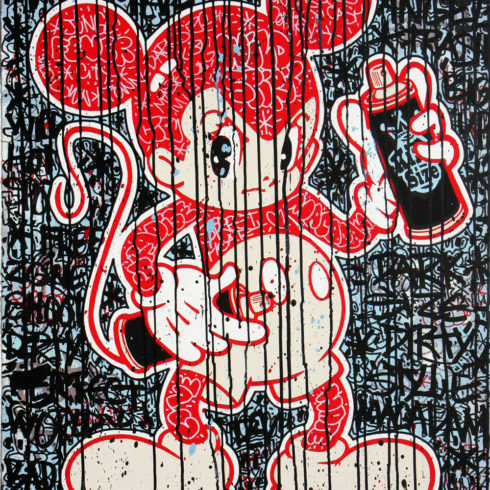 Particularly influenced by the iconography of Disney characters and video games, Speedy Graphito often turns a critical eye on our society, as his artworks feed off the collective memory of iconic imagery to create a new universal language. 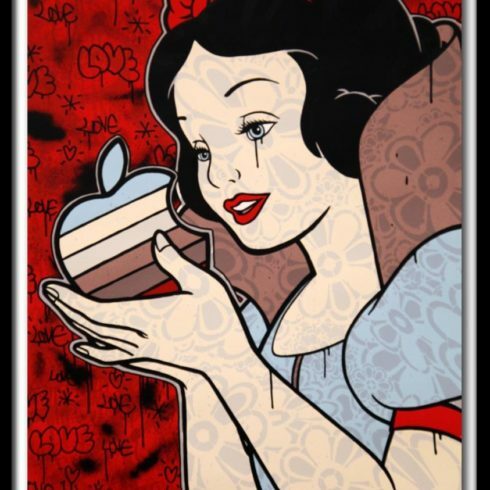 As an example, Speedy Graphito’s “Temptation 2011” features Disney’s Snow White enamored with the half-eaten logo of Macintosh Apple, creating a shrewd and satirical message about consumer seduction. 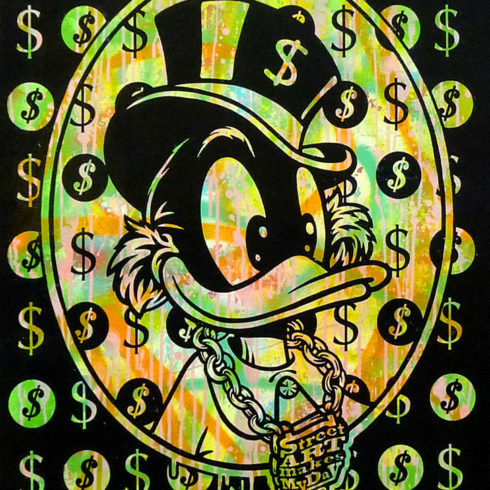 Speedy Graphito’s paintings, prints, and street art murals can be found worldwide. 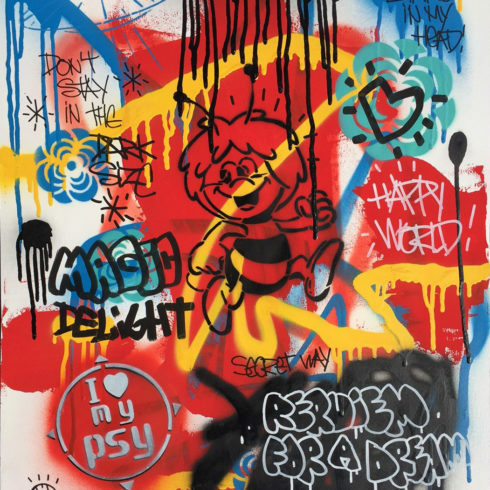 Already recognized in the international arena, Speedy Graphito’s Art is well known in France, England, USA, Belgium, India, Japan, Brazil, and Dubai, as well as major auction houses. 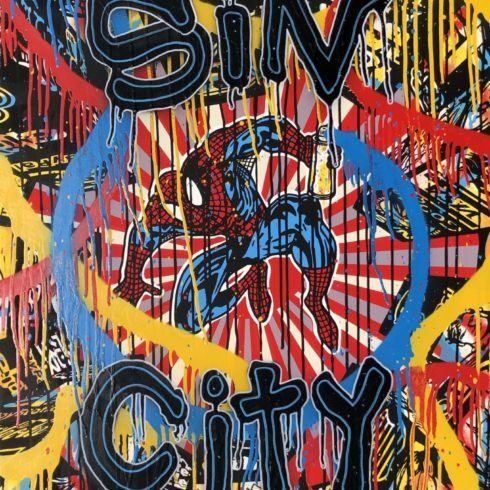 Speedy Graphito has recently participated in a number of solo art exhibitions in Los Angeles Art Galleries, as well as exhibiting at the 2011 Miami Art Basel. Speedy Graphito lives and works in Paris. Denis Bloch Fine Art is pleased to offer original paintings, drawings, limited edition screenprints, and unique prints by Street Artist Speedy Graphito.